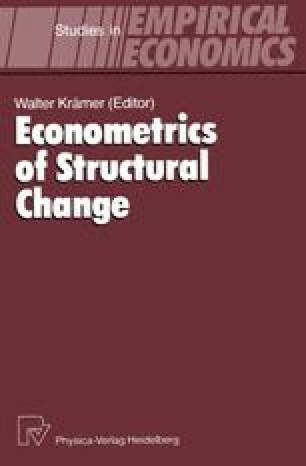 This paper considers testing for structural change of unknown form in the linear regression model as a problem of testing for goodness-of-fit. Transformations of recursive (or other LUS) residuals that reduce the problem to one of testing independently distributed uniform variables are presented. Exact empirical distribution function tests can then be applied without having to estimate unknown parameters. The tests are illustrated by their application to a money demand model. This research was supported by a grant from the Australian Research Council. It was also supported by the ESRC under grant HR8323 while the first author was visiting the Department of Economics at the University of Southampton. The authors wish to thank Simone Grose for research assistance and Walter Krämer for his helpful comments.